Reebok - Always Classic Jersey Skirt - Womens - Collegiate Get easy effortless style with the Always Classic Jersey Skirt from Reebok. Slim fit design provides a flattering silhouette. Features embroidered graphics. 80% cotton/20% polyester. Imported. 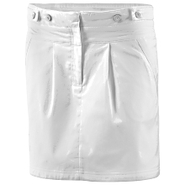 Fila - Ambra Skirt - Womens - Peacoat/White/Chinese Red Get ready for your next summer staple - the Ambra Skirt from FILA. Side pockets provide convenient storage. Features FILA embroidery. 16.75 length. 100% polyester. Imported. 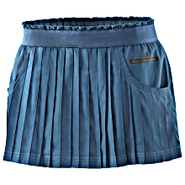 Adidas - The adidas Originals blue Balloon Skirt adds a playful touch to any summer wardrobe. 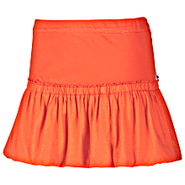 It features a balloon-style lower skirt with a flat upper part for a perfect fit. MINKPINK - Beauty Denim Skirt - Womens - Blue This enchanting MINKPINK Beauty Denim Skirt features ornate rose embroidery detail a frayed hem and the coveted high waist. 100% cotton. Imported. Adidas - Worn by Caroline Wozniacki at several Doubles tournaments the adidas by Stella McCartney Tennis Skirt is made of lined and pleated satin with moisture-wicking properties. Adidas - The sleek and sporty adidas by Stella McCartney Golf Performance Skirt is designed with 3XDRY(r) engineered twill for superior moisture and odor management. Unif - Birkin Skirt in Black Crocheted sheer maxi skirt featuring an elastic waistband. Named after style icon Jane Birkin. Ideal for layering . Measures approximately 34&quot; in length. 100% Cotton. 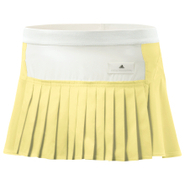 Adidas - This adidas by Stella McCartney Tennis Skirt features feminine pleating sweat-wicking CLIMALITE(r) fabric and a stylish exposed elastic waist. Pencey Standard - Hi-Lo Skirt in Grey Jersey skirt featuring banded elastic at waist and an unfinished high-low hem that is longer at back. Measures approximately 42&quot; in length. SINGER22 model is 5'8&quot; tall and wearing a size XS. 100% Rayon. Emerson Thorpe - Bandage Elastic Skirt 65% Polyester 35% Rubber. CATHERINE MALANDRINO - Leather skirts zip lined solid color no pockets side closure darts no appliqu ©s miniskirt. PLEASURE DOING BUSINESS - 5 Band Skirt in Black Khloe is wearing Black. 65% polyester and 35% rubber. Boulee - Boulee Harper Skirt in 2 Colors Tight fitting body conscious stretch pencil skirt featuring cut outs. Measures approximately 19&quot; in length. 82% Nylon 18% Spandex. Blue Life - O So Easy Skirt in Dark Grey Tie Dye TIe-dye tiered maxi skirt featuring an elastic waistband with drawstring. Measures approximately 35&quot; in length. 85% Micro Modal 15% Linen. Mariella Burani - Leather skirts sueded floral design zip no pockets unlined rear closure rear slit print no appliqu ©s knee-length skirt. PLEASURE DOING BUSINESS - 9 Band Elastic Skirt in Leopard 90% Polyester 10% Rubber. Naven - Skinny Mini Skirt in Many Colors 100% Silk. Dry clean only. PLEASURE DOING BUSINESS - 7 Band Criss Cross Skirt in Green Red Stripe 90% Polyester 30% Rubber. PLEASURE DOING BUSINESS - 11 Band Striped Skirt with Exposed Zipper in Rainbow90% Polyester 10% Rubber. 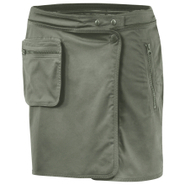 Adidas - The adidas by Stella McCartney Golf Performance Skirt mixes timeless tailoring with modern details like an oversize side cargo pocket and a double self-belt closure in the back. PLEASURE DOING BUSINESS - 5 Band Printed Brick Skirt in Black/White 90% Polyester 10% Rubber. lovers + friends - Wild Rose Pleated Maxi Skirt in Black Accordion pleated maxi skirt featuring a half-slip lining. Hidden side zip closure. Measures approximately 42&quot; in length. SINGER22 model is 5'8&quot; tall and wearing a size XS. 100% Polyester. PLEASURE DOING BUSINESS - Lace 7 Band Skirt in Black 85% Polyester 10% Rubber 5% Spandex. Anna Kosturova - Astral Nomad Skirt in White 100% Cotton.
. - Leather skirts solid color zip multipockets lined side closure no appliqu ©s knee-length skirt. Genetic Denim - Chloe Skirt in Haze Five pocket denim maxi skirt with a front slit. 99% Cotton 1% Polyurethane. TWELFTH STREET - Full Length Flair Skirt in Black Maxi skirt with an elasticized waist and slight flare at hem. 100% Viscose. Jonathan Simkhai - High Waist Skirt in Stripe 96% Cotton 4% Polyester. Haute Hippie - Sequin Wrap Mini Skirt in Silver Sequined mini skirt with fold-over drape detail at front. Hidden side zipper. 100% Silk. Lining: 100% Silk. Haute Hippie - Faux Wrap Mini Skirt in Dark Chocolate Sequined mini skirt featuring a grosgrain waistband and faux wrap detail at front. Hidden side zipper closure. Measures approximately 15&quot; in length. SINGER22 model is 5'7&quot; tall and wearing a size XS. 100% Silk. Haute Hippie - Chevron Mini Skirt in Multi Leather and suede mix chevron A-line mini skirt. Hidden side zip closure. Measures approximately 13&quot; in length. SINGER22 model is 5'7&quot; tall and wearing a size XS. 100% Genuine Leather. Jonathan Simkhai - Ruffle Skirt in Black Leather circle skirt with hidden pockets at sides and hidden zip closure at back. 100% Leather. Lining: 100% Silk.